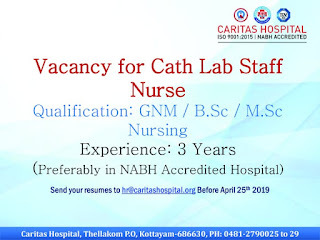 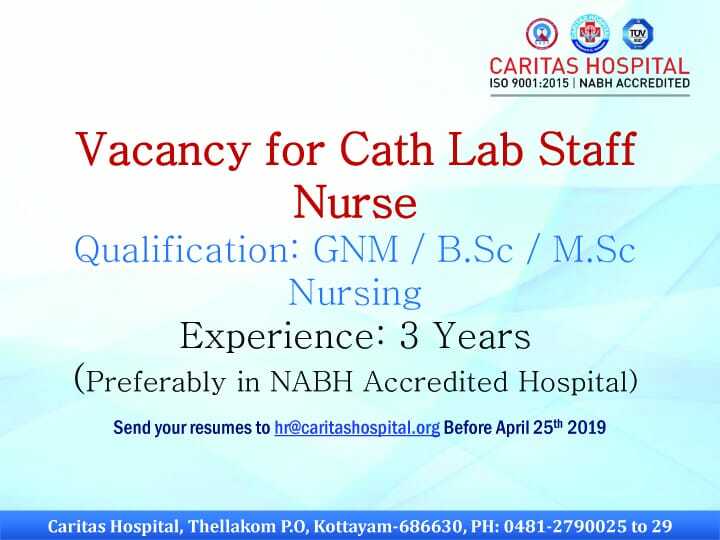 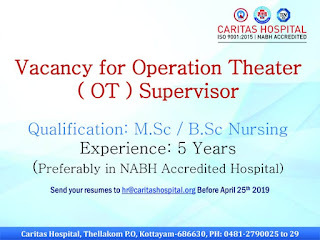 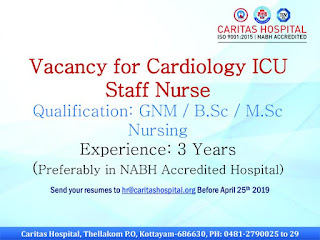 CARITHAS HOSPITAL STAFF NURSE RECRUITMENT APRIL 2019 - KOTTAYAM . 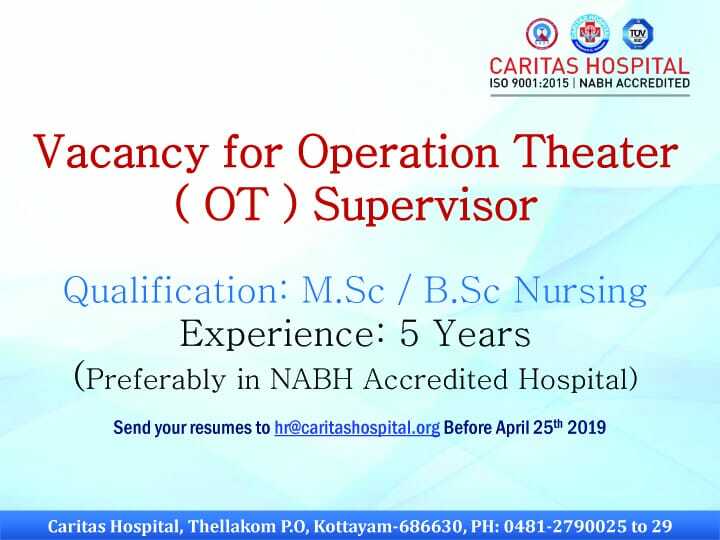 INTERESTED AND ELIGIBLE CANDIDATES CAN APPLY. 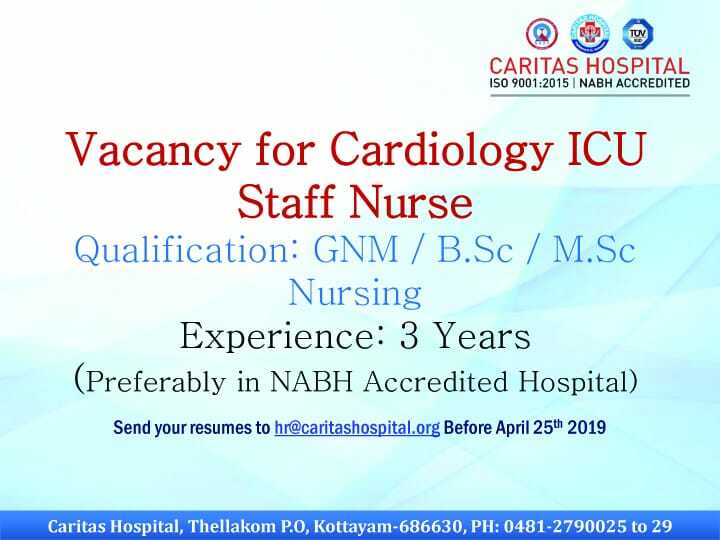 MORE DETAILS GIVEN BELOW.